Calming technique – Taking a deep ocean breath (see yoga books and websites for a demonstration). Jenkins, Ella. This Is the Rhythm. 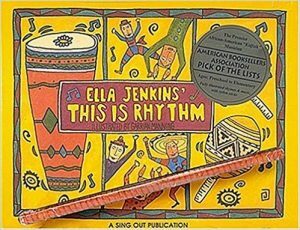 Sing Out Publications, 1993: www.amazon.com/This-Rhythm-Ella-Jenkins/dp/1881322025/ref=sr_1_1?s=books&ie=UTF8&qid=1541968638&sr=1-1&keywords=This+is+the+rhythm .